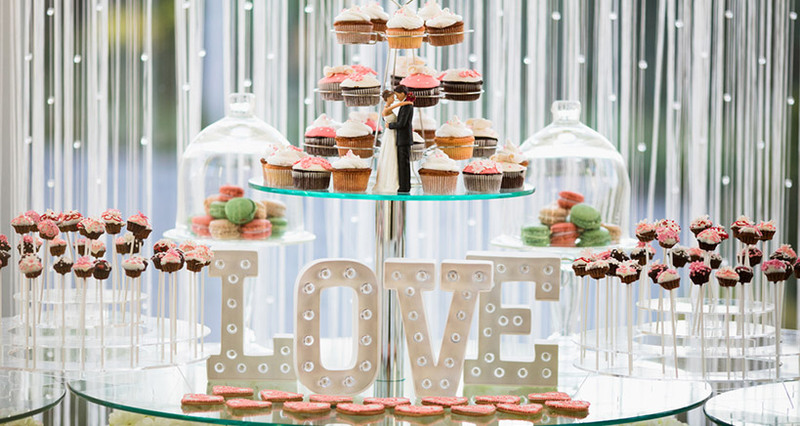 What's Hot in Wedding Dessert Trends? According to professional bakers, there are two particular baked goods taking center stage: Cinnamon rolls and French macaroons in mouth-watering flavors and colors. What’s coming down the pike in wedding cakes for 2019 and beyond? Get ready to feast your eyes and your stomachs on some truly tantalizing eye candy. Up-and-coming wedding cakes are being turned into bona fide works of art, featuring a smorgasbord of heights, materials (imagine edible metallic and gold foils embedded upon satin ice and or rich raspberry fondant…) and even hand-painted designs and decorations. 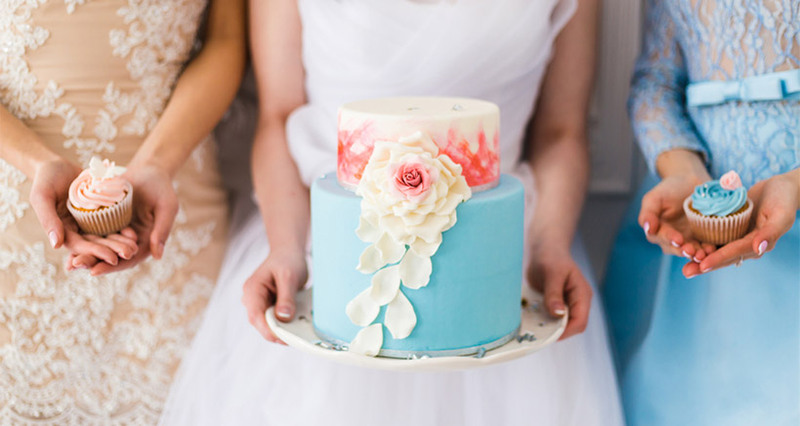 From modern art splatters, sugar art, and smooth watercolor florals to bold brushstrokes of color, dark chocolate swirls, and every topping imaginable, professional bakers are being called upon to become cake artists and create the latest pièce de résistance. And if that wasn’t enough to stimulate your taste buds, or your imagination, check out how one architect-turned-world famous-pastry chef is taking wedding cakes far into the future by using a 3D printer to make custom baking molds and create edible art! Nothing makes tomorrow’s wedding desserts sparkle and stand out more than a serving of gleaming and glistening rock candy. According to Rachel Bruzek of D’Amico Catering in Minneapolis, Minnesota: “Sprinkles, glitter and sugar crystals will be added to everything from macarons to mini desserts.” In fact, today there are even ‘dessert stylists’ who specialize in baking and who make hard candy from scratch, break it into various shapes, and dye and color each piece separately. If you are catering a formal wedding, nothing says elegance and sophistication more than black tuxedoes, shimmering black sheaths, décor in black-and-white simplicity, and striking desserts in shiny black. In stark opposite of traditional wedding white, this trend is gaining momentum in 2019. To create an imposing work of art that is sure to be marveled and remembered, spread a velvety smooth dark or black fondant over your favorite baked dessert, embellish with a gold or silver edible topper, add some optional edible flowers, and voila! Infusing wedding celebrations with details that accentuate the couples’ personalities and tell the newlyweds’ love story is another happening trend for the upcoming year. From the invitations and centerpieces to the menu itself, couples and caterers are putting a lot of thought into each detail, including turning the dessert menu into an array of personal favorites that oftentimes bypasses the traditional wedding cake. Think chocolate recipes for die-hard chocoholics, mini rum-n’-coke cakes or strawberry daiquiri donuts for cocktail enthusiasts, and for ice cream lovers, do-it-yourself ice cream bars where guests enjoy concocting their own ice cream sundaes from every topping imaginable. Finally, in this age of the Internet where social media reigns supreme, couples love posting their latest and greatest personal photos and videos online. This is a great marketing opportunity for forward-thinking chefs and professional bakers. Create an eye-catching, out-of-the-box, head-turning dessert and enjoy the attention your masterpiece – and more importantly your business – receives on Facebook, Instagram, and Pinterest. Do-it-Youself Beverage Bars, where guests can choose from assorted traditional and non-traditional beverage toppings such as whipped cream, chocolate syrup, assorted liqueurs, grated cinnamon, chocolate chips, flavored marshmallows, peppermint candy, lemon drops, and more. 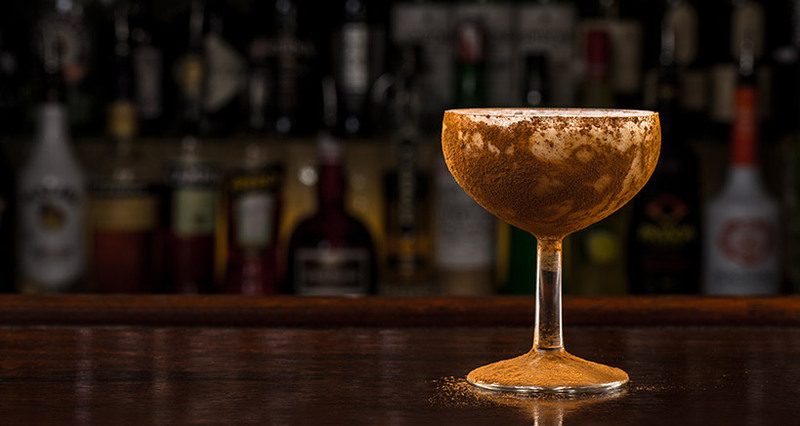 Also growing in popularity are new dessert cocktails, including innovations such as: Peanut-Butter-and-Chocolate Martini, Caramel Apple Martini, and Gingerbread Martini (made from ginger liqueur, sparkling wine, and brown sugar). Also hot on the wedding dessert menu scene are fruit-flavored desserts. For 2019, one of the most popular flavors is white chocolate raspberry, but anything with fresh fruit is also in demand. For example, lemon, banana, blueberry, strawberry, peach, and apple are some of the fruity-flavors included in cakes, muffins, pastries, macaroons, and pies. And when it comes to international tastes, Yuzu – a sour Japanese citrus fruit about the size of a tangerine – is in high demand. Known for its unique aroma and flavor that is distinct from lemon or limes, the expanding list of Yuzu dessert recipes includes: Yuzu Sorbet, Yuzu Meringue Tarts, Yuzu White Chocolate Truffles, Blueberry & Yuzu Cheesecake, and Yuzu Ginger Tarts with caramelized pineapple. When it comes to wedding desserts, gone are the days when tradition reigned supreme, when all-white dominated the nuptials, and when wedding cakes were the be-all and end-all of the celebration. 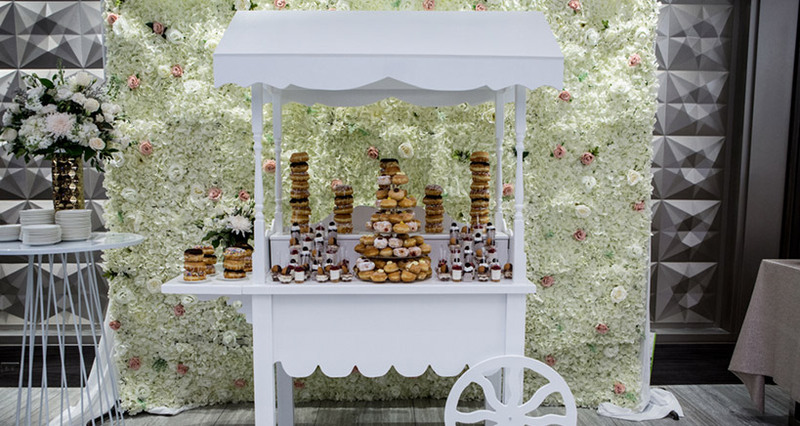 Instead, wedding caterers and event planners have reinvented the wheel and are incorporating new tastes, textures, styles, colors and patterns into fantastic new dessert selections in numerous shapes and sizes. For restaurant owners and caterers, this is welcome news as it gives you the chance to throw your chef’s hat into the competitive ring, show off your talent, and showcase your business by creating tomorrow’s next best talked-about wedding dessert. Good Luck!